After all, I’d learned about the arctic at school and couldn’t comprehend how polar bear and arctic fox could swim all the way to the Mediterranean. Noah must’ve picked them up in his boat, I reasoned. After fitting an icebreaker to the bow. There was also the problem of carnivores, omnivores and herbivores contained in a confined space. When I asked my Sunday school teacher about that, she told me God had made them docile. I asked if that meant He’d changed their nature, and she said God can do all things and not to question it. Having found her answer somewhat unsatisfactory, I asked if Noah’s Ark had really happened. This seemed to upset her because she said, “Of course it happened, it’s in The Bible!” Still unconvinced by her explanation, I decided that Noah must’ve tranquilized all the predators with darts. This time of care-free curiosity would prove to be short-lived. In those days, neither evolution nor dinosaurs were on the primary school curriculum, which left my instruction about the origins of the universe entirely at the mercy of the Christadelphians. They taught that Earth was 6000 years old. For many years, I didn’t question it. Whether this was because of pre-teen hormone changes or the ability to think critically had been hammered out of me, I can’t be sure. Either way, when evolution was taught at secondary school, I neither rejected nor accepted it, the news that Earth’s age was actually 4.5 billion years old seemingly not registering. As for the dinosaurs, I was told by Christadelphians that they were similar to cartoon characters, like King Kong or Godzilla, and I shouldn’t listen to the nonsense of outsiders. The years rolled by, and I was still as bored as ever. Older kids got baptised, yet the thought of me ever putting on a weird robe and taking a dip seemed unthinkable. Time spent at the meeting was jail time. As if to rub our noses in it, at ‘prize giving’, the joyously given reward for enduring another miserable year of Bible reading was...a Bible! By my early teens, my circuits were fried and my head was a mess. I no longer cared whether evolution or creationism was right and just wanted to live a normal life. But Christadelphian families don’t do normal. The children of Christadelphians are clueless when classmates talk about exciting TV shows as ‘worldly’ things are banned at home. Some Christadelphian kids can’t even listen to pop music or wear fashionable clothes, basic requirements for any healthy teenager. With parents and on Sundays, I grew tired of rebuffs like ‘It’s God’s will’ or ‘It’s not our place to know’, so I stopped asking questions about doctrines and teachings that puzzled me and put a sock in it. To remind me of my good fortune, they would talk about the Parable of the Sower. I was the seed that fell on fertile ground, they told me. No, I thought, I am the seed that fell onto a steaming pile of crap. More months passed. I hated going more than ever but kept my mouth shut. Despite everything, I still believed in God and Christ’s Return. This highlights how muddled they make young minds as I’d been daydreaming through lectures for years, would mouth their ludicrous hymns, sometimes backwards, disliked most of the people, and got nothing out of attending. My mental tumult, I now know, was because it’s a huge task for any teenager to re-wire her entire belief system while indoctrinated by a high-control religious sect. Some people, in fact, might even call the Christadelphians a cult. By my mid-teens, I desperately wanted to stop going and, sensing the time was now right to take a break, I refused to get into the car one Sunday. Sitting at home, I felt both exhilarated and a crushing sense of guilt. To appease my brainwashed mind I exploited a loophole, namely: you can leave and then go back. After all, Jesus welcomes back lost sheep. Great! I’d get out for a year and live in the real world. A week later I’d extended my break to five. Within a month, it’d become ‘I’ll get baptised if Jesus comes back’ and ‘If he hasn’t come back by the time I’m sixty-five then I’ll get baptised, sort of as insurance’. This strategy was tantamount to cheating at cards when you’re playing against God, which, if you believed the Christadelphians, was madness as He could see my hand because He knew all things. Still, it was technically within their rules and there was no way I wanted to go back. After about a year out, I’d had enough time to organise my beliefs. Jesus, I now realised, was not the son of God. He was just a regular human. Sure, he was an interesting historical figure around whom a religion has been invented, but he did not perform miracles, was never resurrected, so there could be no Second Coming. All humans are mortal, I now realised. Embrace it. Don’t fear it. Whether God exists scarcely matters. And if there is a god then She/He/It is nothing like the God of the Christadelphians. From an early age I knew I wanted to get out. Acting on it took guts, but staying resolute to my decision was easy. In the years that passed, I read more widely and organised my thoughts ever more precisely. 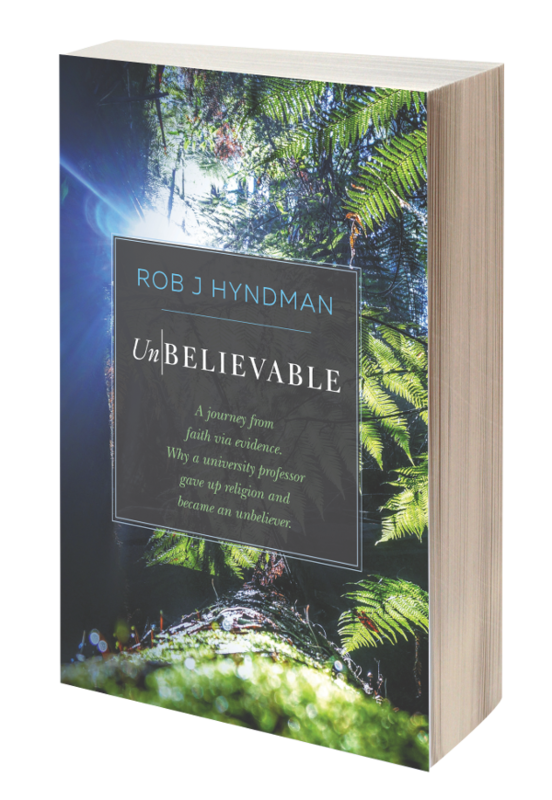 Everything the Christadelphians believe crumbles under any kind of scrutiny. If like me you were unlucky enough to be born into a Christadelphian family, you owe it to yourself to get away from them for a while. Exercise the break clause. Use the time and space it affords to investigate their doctrines. Heck, why not start right now by clicking the tabs on the homepage of this website?